Hey just wondering, I think they changed the layout at WOU. Do you know if the pictures still match up with the layout? What's up, Chase! 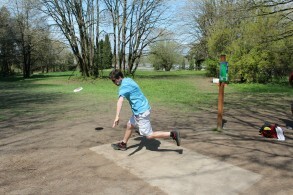 Are you playing in the Willamette Open? Playing Adair today if your down. Headin that way now. Nice work at the BSF!